The Anonymous international “hacktivist” network gave an ultimatum to the UK at its “official” website on April 12, demanding that the WikiLeaks founder Julian Assange be released. In its statement, Anonymous warns the UK authorities that if they fail to release Assange they will have to pay for it. 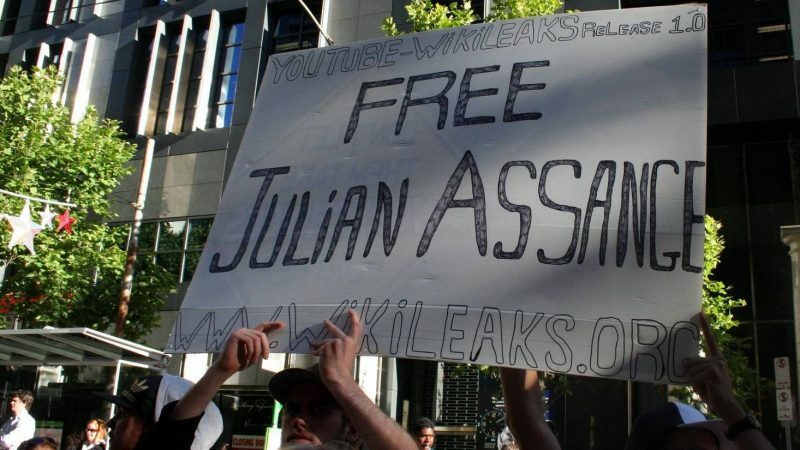 Anonymous also reports that Assange managed to warn them about his coming arrest, which followed his almost 7-year stay in Ecuador’s diplomatic premises in London. Assange’s stay in the Embassy of Ecuador ended after the leadership of the country changed, and Assange’s Ecuadorian citizenship granted to him in 2017 was withdrawn. The fact that Anonymous’ threat is real is supported by their repeated exposures of the UK authorities and media that serve them. For example, in November 2018, Anonymous exposed documents about the funding of anti-Russian media by the UK government. This entry was posted in News from the West and tagged Anonymous, Assange, Freedom of Speech, Political War, UK, USA. Bookmark the permalink.